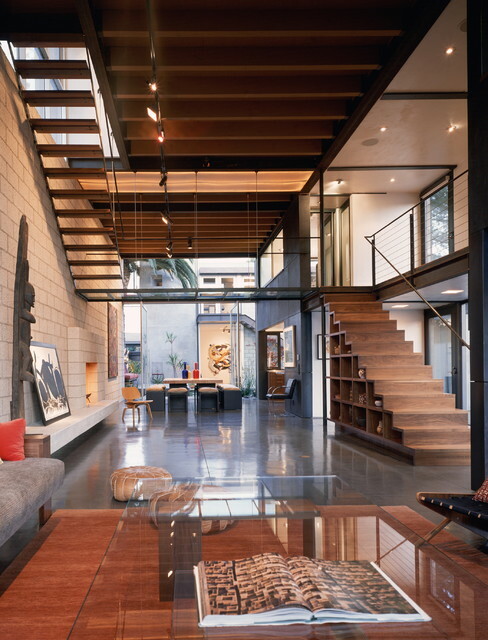 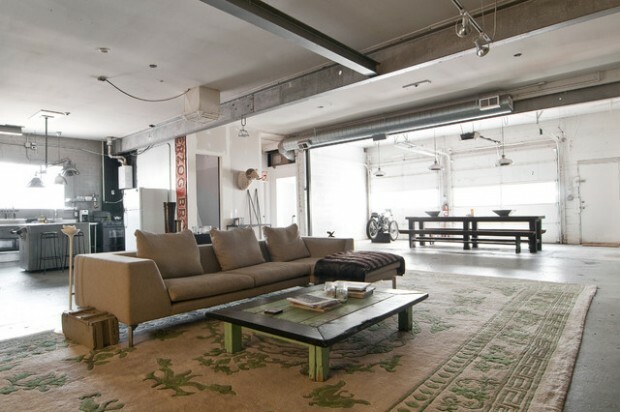 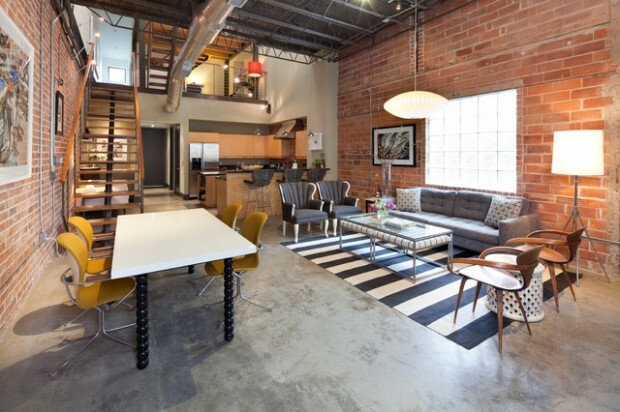 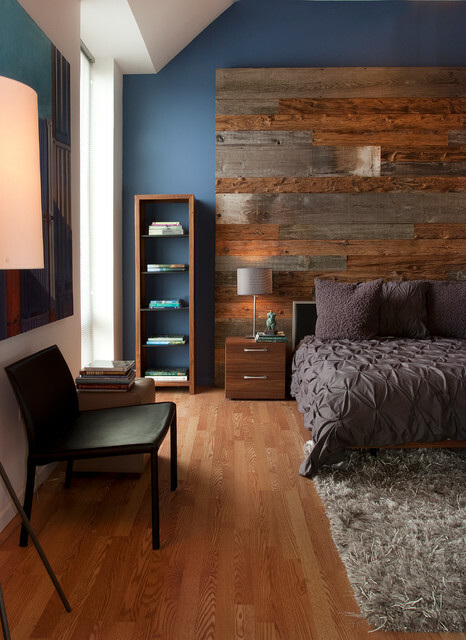 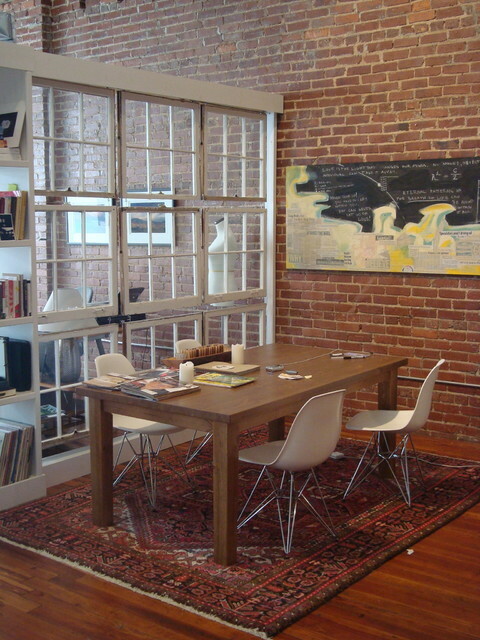 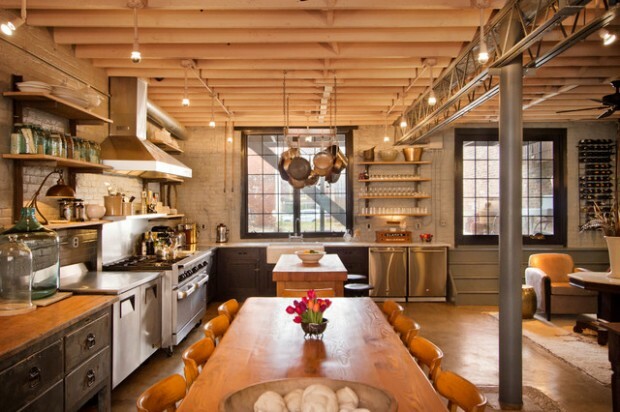 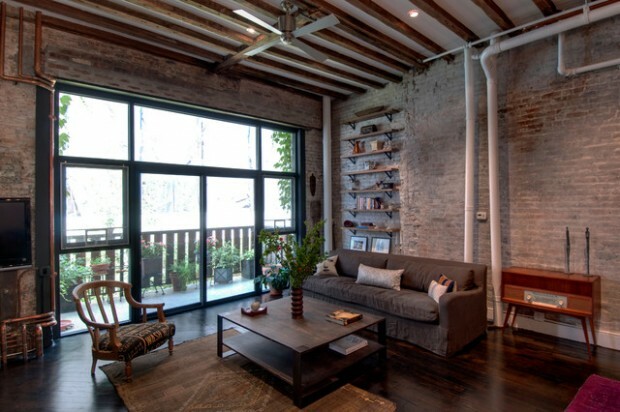 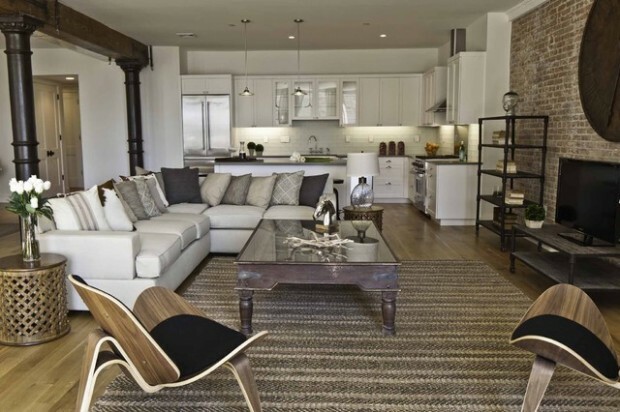 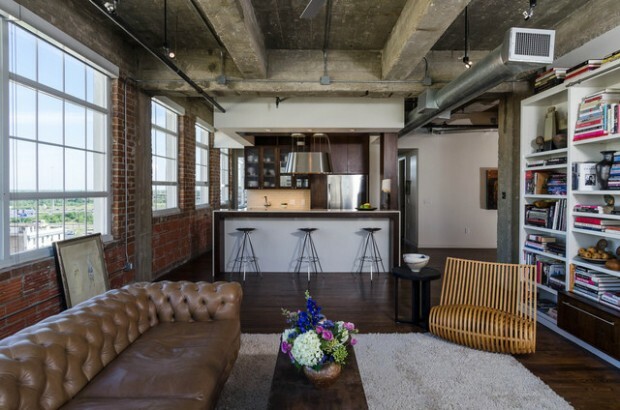 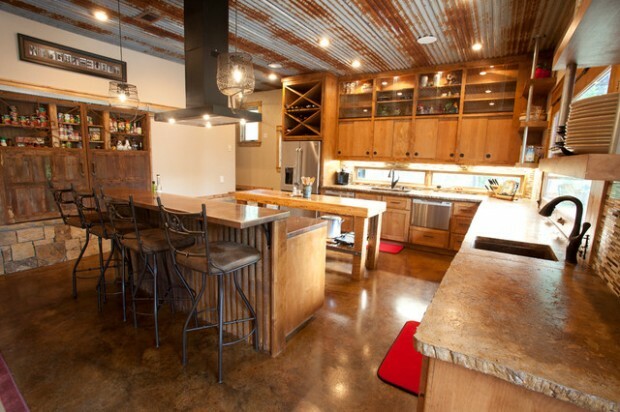 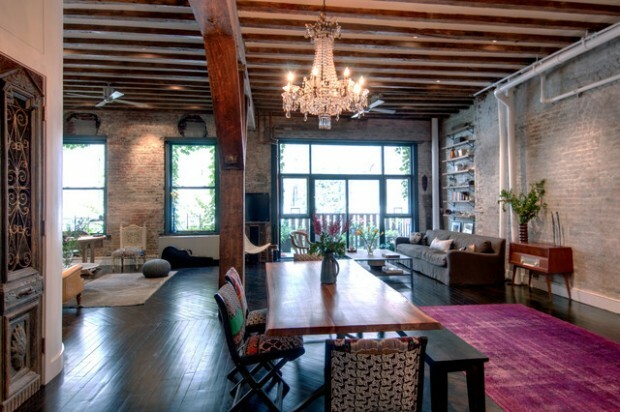 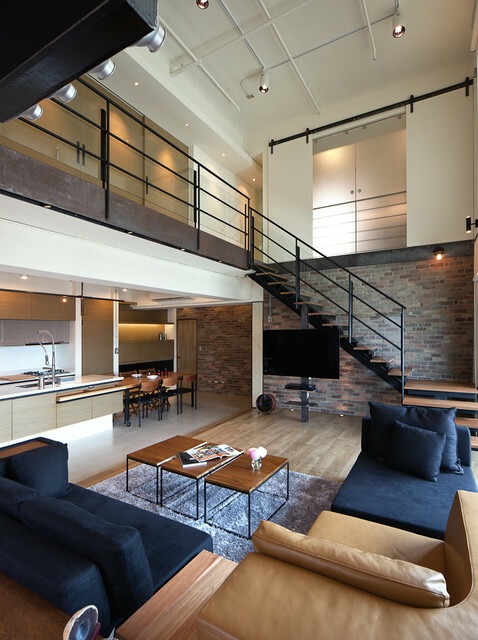 Industrial interior design is often the concept selected for loft apartments. 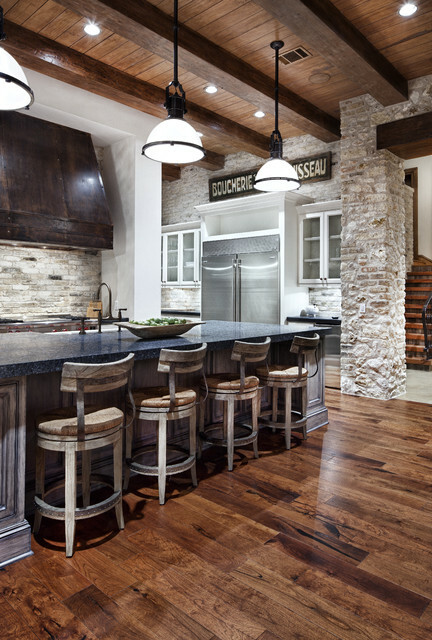 It is a growing trend to have this look in the home. 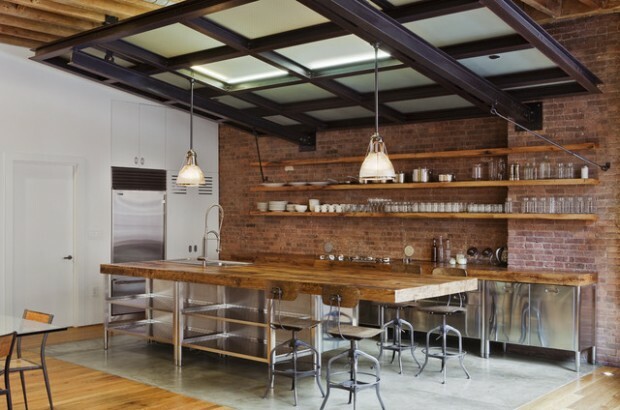 For the industrial interior decoration you will need objects that are made from steel, metal or wood. 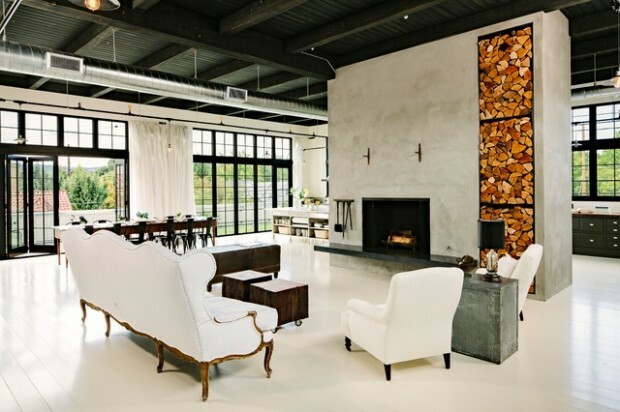 Painted walls with a mix of large pieces of art hanging is perfect choice for industrial style living room and timber or stone flooring are also good finishes that will help you achieve the industrial look.